This Saturday, across Canada, authors will be on-site at an independent book store near you. It’s our way of showing support for the work Indies do by selling our books, and by supporting launches, readings, and literary salons. 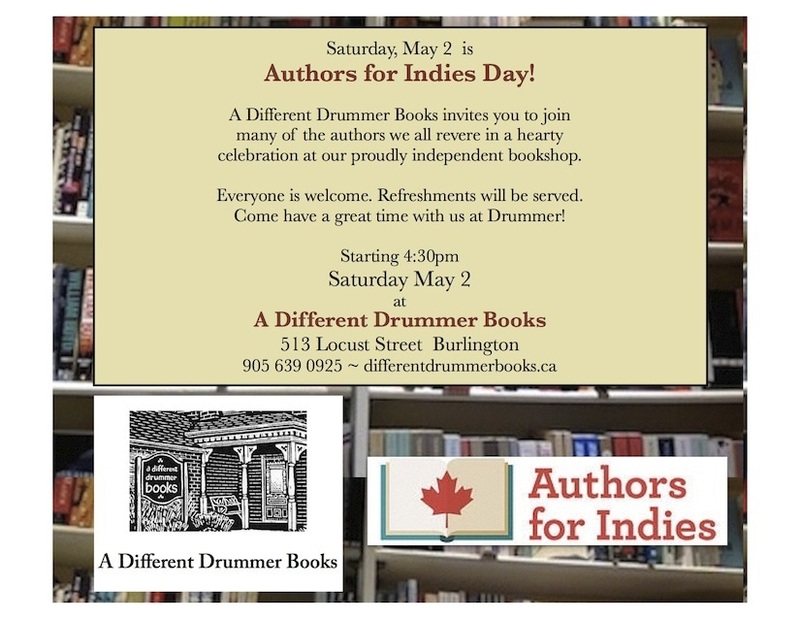 Different Drummer Books from 4:30-closing.